This tour is the easiest way to visit Montserrat! Spectacular mountain and views, ancient monastery, holy shrine – an incomparable place not to be missed. Start with a picturesque drive up the mountain. Perched half way up you will see the nearly 1000 year old monastery. There is a short walk to get there, best moment to enjoy the magnificent views and have a taste of artisan cheese and honey that you will find in the stalls along the way. You will have about 2 hours in the Sanctuary of Montserrat, combining an orientation tour with some free time to see the black Madonna, the basilica, the museum, restaurants or the shops. When: Daily at 3 pm, except Sunday (Please note, this tour starts at 3.15PM from 1 April to 2 November). Language: English. This tour is also available in French from April. Price: includes visit guided and transport. Transport: Comfortable roomy air-conditioned private bus. Itinerary: Barcelona > Parc Natural de Montserrat > Sanctuary (Monastery, Basilica, Chapel of the Virgin) > Free time > return to Barcelona. Funicular, track railway or cable car. This tour involves some walking so wear comfortable shoes. Dress a bit warmer for Montserrat, it is colder than the city. Silence must be kept inside the church so the guide will give all the explanations outside. The 1000 year old Benedictine monastery is perched half way up the mountain and sheltered by its peaks. 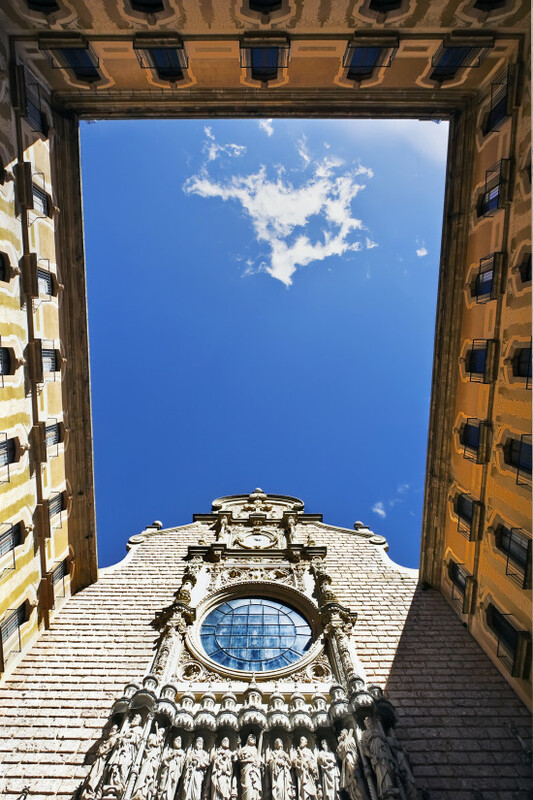 There is a basilica with the Chapel of Our Lady of Montserrat known as La Moreneta, the patron saint of Catalonia, and a presence strongly felt and revered. The community of monks also runs a boys’ school devoted to the study of music. The Museum of Montserrat has an extensive collection with paintings by Dalí, Picasso, El Greco and even treasures from ancient Egypt! You will start with a picturesque drive up the mountain. Perched half way up you will see the nearly 1000 year old monastery. 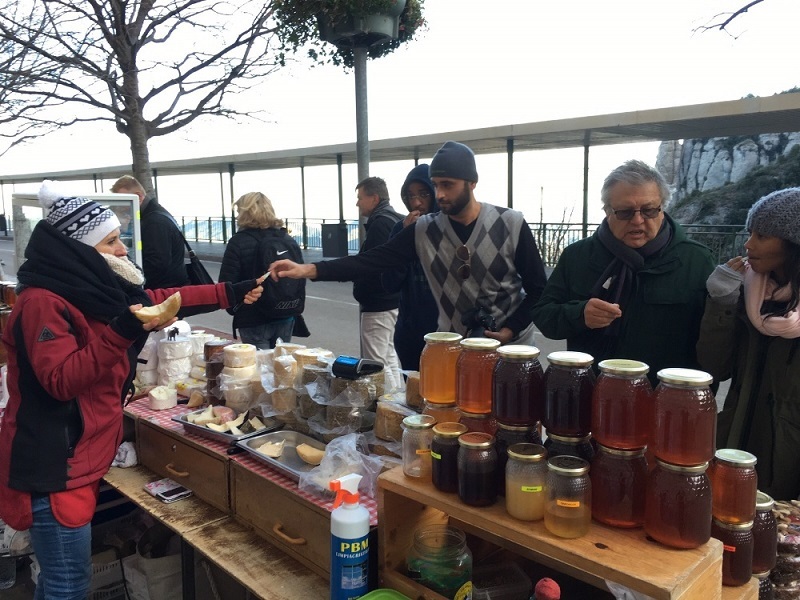 There is a short walk to get there, best moment to enjoy the magnificent views and have a taste of artisan cheese and honey that you will find in the stalls along the way. You will have about 2 hours in the Sanctuary of Montserrat, combining an orientation tour with about one hour free time to see the black Madonna and the basilica, the museum, restaurants and shops. The tour is in the afternoon, as there are less people than in the morning. You will also make the most of your day as you can spend the morning visiting Barcelona. Yes. There is one hour drive to Montserrat, plenty of time to discover all about the mountain. You will get an orientation tour on arrival and then you will have some free time to wonder around. Discover Barcelona by the hand of a friendly and knowledgeable guide. Enjoy the peace of mind of being driven by a professional driver, who will take care of your safety and will adapt the pace of the tour so you have time to look out and take pictures. Discover the city from a roomy and air conditioned bus with big windows – great for pictures! This is a new bus. It is comfortable and also has a low emissions engine. This means we help reduce the air pollution in Barcelona and reduce the CO2 climate change emissions. You don’t need to print your voucher. The tour will start from plaça Catalunya, in front of Deutsche Bank and Hotel Olivia Plaza. Please arrive 15 minutes before departure time. Look for the orange umbrellas! "Very knowledgeable and informative guide. Very comfortable bus ride with information about Barcelona as well as Montserrat provided. There was plenty of time for visiting the church and statue as well as shop at the cheese vendors but not enough time for more of the activities-such as hiking. We just took this tour on Jan 16, 2019 and it will be the best thing you will do to visit this beautiful place, Jesus our bus driver was very professional and considering that particular road that leads to the monastery you can see he had a lot of experience. Abel our tour guide was great, he provided a lot of interesting information and made the whole experience very enjoyable, you will not regret taking this tour, 100% recommended. We have been on many trips and tour’s around the world and this was one of the best, we had a great time! Our tour guide Arnau was very informative and funny and is the best guide we have had thus far, we were very lucky and happy he was our guide and will definitely ask for him again when we come back. The tour itself was amazing with all the wonderful sculptures and beautiful scenery. We learned a lot of the history from Arnau, 5 stars!!! (He is also a Great driver). "AMAZING TOUR WITH INFORMATIVE INTERESTING GUIDE"
We looked at several different Montserrat tours and finally settled on this half day tour because of time constraints. We could not have been happier with our choice. Our guide Irena was wonderful, explaining history and details of landmarks in Barcelona as we traveled out side the city. As we proceeded up the mountain, she explained all of the legands, lore, and history of the monastery and it’s imoortance to the people. Once we arrived, we had a short walking tour to get acclimated to the sights and then free time. The views and architecture and outstanding. The museum is a hidden gem, not to be missed, and includes a monet, picasso, and other treasures. The liquor tasting is also great. Our only regret is that there was not enough time to do all we wanted to do, it we knew time was limited when we booked. On the way back, more interesting details from Irena, including a CD performance by the Boys Choir ( which we missed) and some Catalan folk music. Irena is one of the best guides we have ever encountered and she made this experience rich and meaningful. You can’t go wrong with this tour! Eine wundervolle Privat Führung gehabt:) vielen Dank dafür. Der Berg ist ein so schöner und sehenswerter Ort! Wir kommen wieder. "5 starts tour in Google"
I visited Montserrat using BGB tour company and they are very good, Jesus the driver and the two tour guide Aurther translated in French and Able translated in English were excellent. Great experience and I highly recommend it. Visited July 2018. Reviewed on Google from Marina Benjamin. The view heading up to Montserrat is so beautiful and not to be missed. Tour guide Berta was great in explaining about Montserrat, some Gaudí buildings along the way and even about Spanish/Catalan culture, food and music. Afternoon is a great time as it was quiet, not crowded, and cool breezy throughout the walking tour. Visited June 2018. Reviewed on Veltra from Elayne. Among other things our trip to Barcelona was so great and unforgettable because of the tour to Montserrat. We will come again just because of Montserrat and definately can recommend this tour! A Five Star day! Irina was our guide and did an excellent job. There were ten people on our tour that left from Plaça de Catalunya at noon and returned there around 8:40 pm. I enjoy details and Irina supplied a lot. It took about an hour for our comfortable bus to reach the monastery and Irina talked the entire time supplying interesting commentary of both Barcelona and Montserrat. She was very good at explaining exactly what would happen during our stay and the options available to us during our free time. We choose to take the funicular to the top of the mountain where the views were splendid and there were paths to walk on. We saw an interesting video, tasted cheeses and fig bread, had a behind the scene tour of the crypt, sacristy, art museum, and could touch the orb held by the sacred black Madonna. We heard evening vespers in the cathedral with the monks and famed boy’s choir which sound like angels singing. On the bus trip back she played a selection of typical Catalan music. This tour was a highlight of our trip to Spain and well worth the money. We were very glad we did not just plan to visit on our own – we would have missed so much. Très très beau mais manque de temps pour apprécier pleinement. Les minutes sont comptées !!! 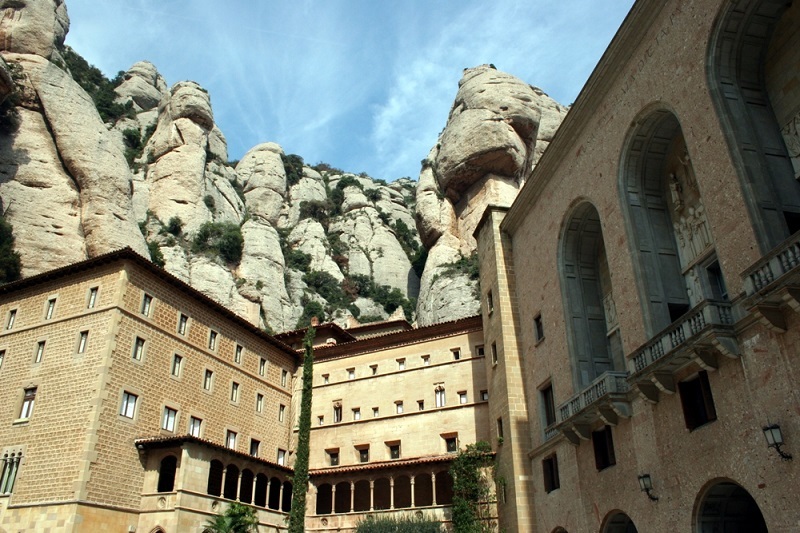 We booked online before we came to Barclona an afternoon Tour to Monserrat (3pm – 7pm) and it was a good little tour. It looked magnificent in the pictures we had seen hence why wanted to go ourselves and it didn't disappoint. The tour itself was an hours drive from Barcelona (so it said) but due to the traffic it probably only gave us about an hour 40 there and the queues in the Monastary itself (if you wanted to touch the Madonna) also took away from the time you were there. Apparantly it was an hour and a half trek to the top of the mountain but I don't think there would have been the time to do this without missing out on what you were there to see. Granted there is just the Monastary there to see but the stunning views and breathtaking scenery make it worth it, both when you are there and on the drives to and from. Our guide was very informative and friendly and we were glad we booked it. Gave us something different to the hustle and bustle of Barcelona. The bus to Montserrat was very modern and comfortable. Our guide was wonderful, organized, and knowledgeable. She obviously took pride in her work and was proud of her heritage. She even brought recorded local music which she explained to us. As with all the tours we took where transportation was provided, there was not enough time to see that much. I recommend that in these situations you plan your own transportation back so that you can stay and see all that there is to see. The afternoon tour was not crowded but staying late is not much of an option since they close around 6:00 pm. If you want to stay longer and possibly ride the incredibly steep and fun looking funicular, go in the morning. Worth the money and time. The guide (Laura) was very nice, funny and kind. Great organising and a remarkable experience. I will go again someday. Reviewed on Get Your Guide by Andrea, Hungary. I booked the tour for me and my two daughters the night before. Meeting time and directions to the meeting point were clear and included in the confirmation email, which I received within a couple of hours. The tour was very nice. Our guide was friendly and knowledgeable. I've never done a tour company tour – I usually hire a private guide, but the trip was planned with short notice and I visited during the holiday. Montserrat is beautiful. The bus was very comfortable and clean, and the drive up and down was lovely. I'd return for the tour and I'm curious about the full day with wine tasting tour. Next time I'm here, I'll have to do that for sure. Would definitely recommend this tour for anyone interested in getting away from the city sights for a bit. This was a really enjoyable day – the bus driver did a great job & we felt safe on the harrowing curves up and down the mountain. Our guide was very conversational and gave quite a bit of information – but the tour stopped at the basilica- I know that they are giving tours to those who are interested in more or less information about the church itself – but perhaps there could be an optional part of the tour when they go more in depth with the religious aspects. 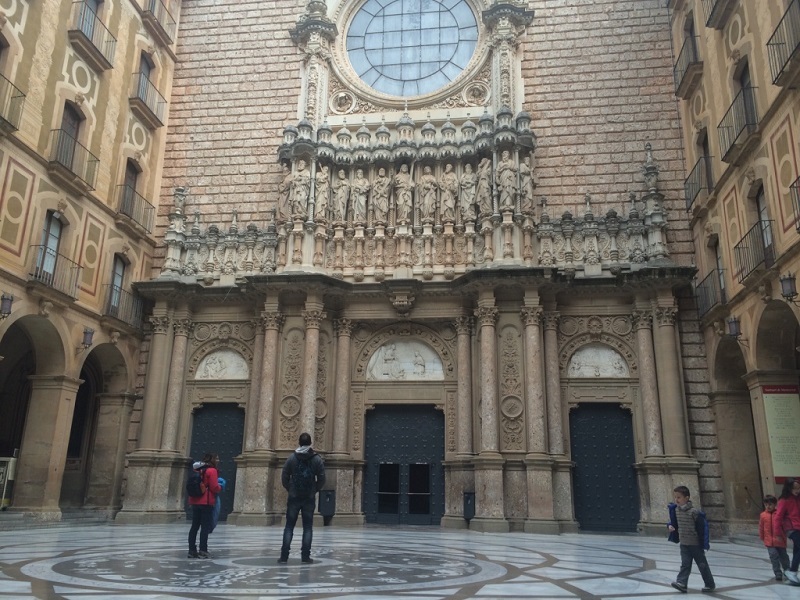 We booked a Montserrat tour through BGB Tours during our Barcelona visit. The agency was recommended by our hotel. The guided tour cost 50 euro per adult and 30 euro per child. The 1-hour drive from Placa Catalunya was pleasant, the guide was informative and explained a lot of sites that we passed on the way there. The mountain drive up to the monastery was surreal. Once at the monastery, the views were breathtaking and the monastery itself was awe-inspiring. Monks still reside in apartments on the grounds. Our guide spent about 40 minutes with us explaining the history. We then had 1.5 hours to walk around independently. Given the time allotment, we had to choose between taking the funicular all the way up the mountain (12 euros) or touching the Virgin Mary statue inside the monastery. We chose to wait in a 45-minute line to go inside and touch Virgin Mary. It was well worth it and we are secular! The monastery is grand, intricate and really took our breath away. There was a monk playing an organ inside. On the descent, our guide explained more of the history and background of what we were seeing. She did a great job. Montserrat has been the best part of our Barcelona trip and I'm so glad we went with this tour agency instead of repeating our terrible tour experience with Julia Travel. The group assembled near the Hard Rock Cafe at Placa de Catalunya and was very punctual. The motor coach was clean, the guide was pleasant and very good in English. We did not notice the hour-long trip each way as she kept us entertained. The tour started at 3 PM, and we were back at the Placa de Catalunya by 7 PM as promised. Wendie accompanied us to Montserrat for a half day tour and was excellent as a guide! 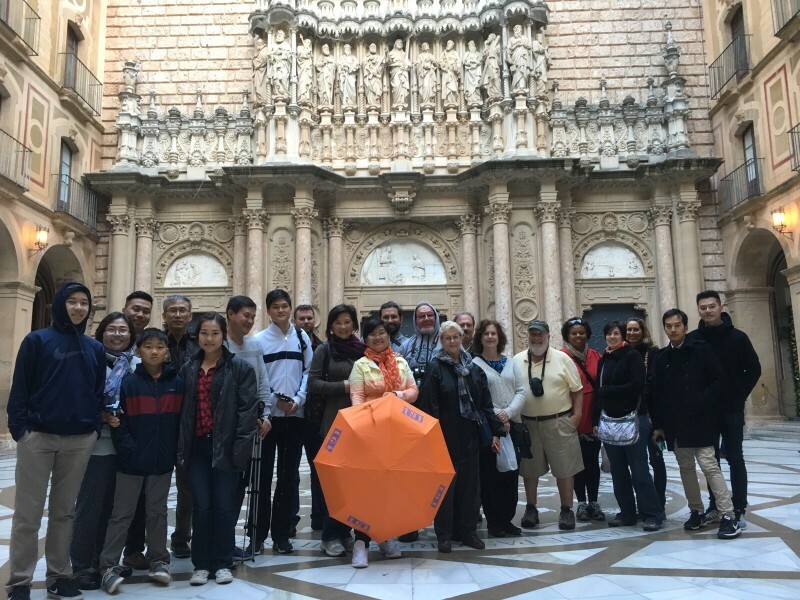 We were treated to an incredible tour – do NOT miss Montserrat! Wendie was most personable and informative and made sure everyone was comfortable and had all their questions answered. She left us feeling like good friends. She speaks perfect English along with her native Dutch and Spanish – and probably some others, too. Be sure to ask for her when you visit Barcelona! We took the four hour afternoon tour to Montserrat and it was fabulous, a great way to see the area around Barcelona, as well as the Montserrat rock formations and the monastery. Our guide, Philip, was wonderful, treating us to examples of Catalan music on the way back, as well as very informative commentary throughout. Squeeze this into your itinerary! 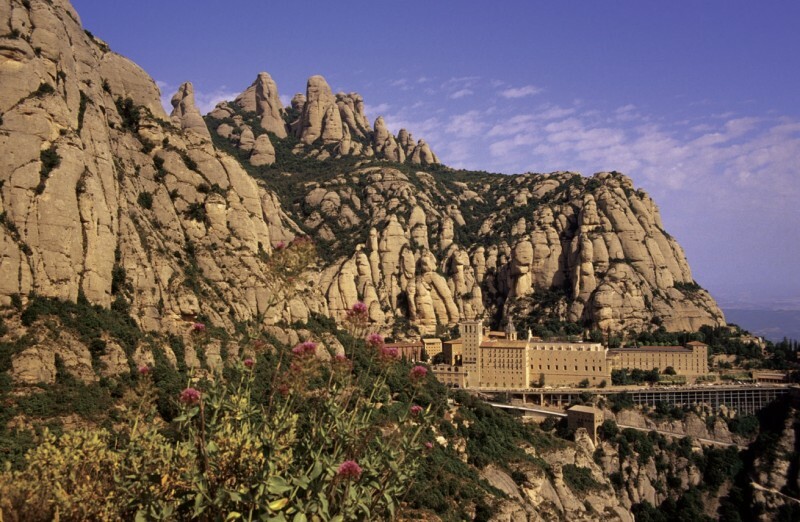 It is definitely worth the time to take a tour to Montserrat. Our guide, Oliver, was fantastic and so knowledgeable. The only thing I would have liked was a little more time to explore but it was worth the trip to see the monastery and be on the mountain. This is pretty much what you'd expect in visiting a monastery – dramatic, pristine, well cared for. An easy trip from Barcelona – better on a guided tour. Montserrat mountain and the Abbey is a unique, must to see attraction. This trip was an easy and convenient way to get there from Barcelona's city center. The guidance was informative and interesting. Great tour with a good guide and plenty of time to explore the monastery. Highly recommend. The tour was easy to book, and the meeting place was very convenient. Nice 4 hour round trip from Barcelona in the afternoon. Guide, driver and bus were top notch. We were given more than enough info from beginning to end. It was a fantastic tour! The tour guide was amazing, and had plenty of information to share. Spent enough time at Montserrat to absorb the beauty of the mountains. Don't forget to take the long walk to the peak of the mountain! It's worth the walk, and the view is simply magnificent! We were planning to take the train up by ourselves, but slept in and woke up at 12:30pm. Our hotel had a brochure on this tour, so we booked through the hotel, as it started at 3PM. It was a Friday afternoon, were not many folks on the tour, had a great guide. By the time we got up to Montserrat, it was pretty empty, no one there, so we had the place to ourselves. Well worth the visit, and the late tour arrives when most folks are leaving or gone. Would highly recommend this tour company, and this tour. Nuria Bargallo was our guide and she was one of the most outstanding we have ever had on tour anywhere. Not only did she educate us about Monserrat, but also the Catalan Culture, Spanish politics, and daily life. She was always entertaining and responsive and pleasant. She went out of her way to help us take the funicular to the peak at Monserrat. This is our first tour in Barcelona and a great introduction to the city. Try to tour with Nuria and you will have an unforgettable experience. Our family of 7 (including one in a wheelchair) took the Montserrat tour from Placa de Catalunya in early August 2014. We had a wonderful time and found the tour guide excellent. Our bus driver was excellent, highly skilled navigating the difficult climb up and down to and from Montserrat. A great bargain and excellent trip! We booked the Montserrat half day Tour @ the Turisme de Barcelona situated in Placa de Catalunya. The cost was 47 Euro's each & the meet up point was across the square outside the Deushe Bank @ 3pm. Tour left promptly and the guide Oliver was extremely friendly & knowledgeable about Barcelona & Montserrat. His passion for Montserrat came across & he made the hour long journey up the Mountain very pleasureable. He spoke about the History of the region & gave us relevant stories. The journey was breathtaking but if you suffer from Vertigo it is not for you! 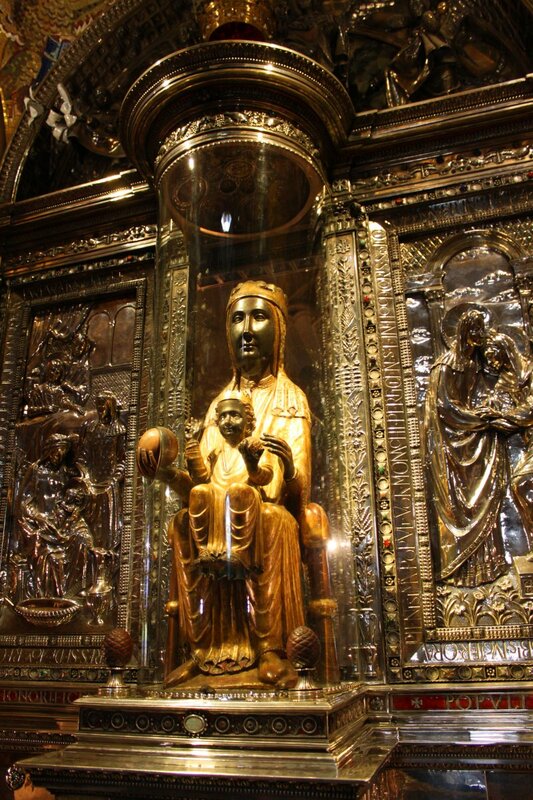 We got the opportunity to see the Black Madonna in the monestry and actually got to go up & touch her. Due to the limited time we did not get a chance to take the tram ride but we did go into the Museum. Great photo opportunities & next time I will definitely do the full day tour a definate must see in Barcelona.